Monet Water Lilies, a popular series of works. How did he paint them? Lets talk a little about Claude Monet's Water Lilies. Why pick a Monet Water Lilies painting? It's one of the few I've seen in person, and I find them to be quite beautiful. He also painted a whole lot of them! How many you ask? Well, we know of over 250 of them! They were the main focus of his artistic works during the last 30 years of his life. Even while he suffered from cataracts. Monet moved from Paris to Giverny in 1883 where he rented the property, and as his fame and income increased, he later bought around 1893. Part of the purchase included the small pond where he created his water garden and arched Japanese style bridge. How did he find this property? 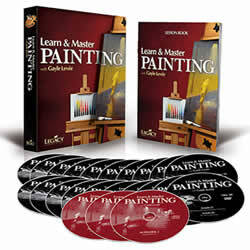 Remember in our article about impressionist painters. I talked about the impact of rail transportation during this time period? Yep, he was on a train ride and while looking out the window, he saw the village of Giverny passing by, and, now you know the rest of that part of the story! Think about that the next time you ride a train. Could your train ride impact so much of the world in your future? By 1900, he was exhibiting his water lily paintings as part of a series. He was super productive in that he also produced series paintings of haystacks, poplars and the facade of the Rouen Cathedral during the same time period. Click here to learn more about Monet Haystacks and the colors of shadows in Impressionistic paintings. 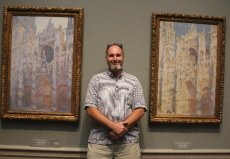 These paintings have become so popular (Water Lillies series) that in 2008, (during one of our worlds greatest worldwide economic downturns), one of the Monet Water Lillies series paintings sold in Christies of London auction house for $64 million! 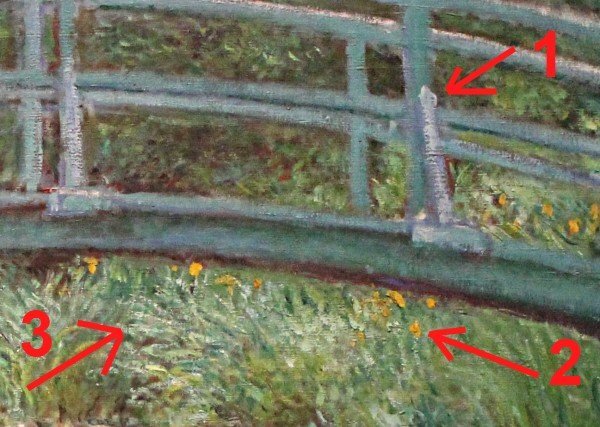 Lets talk some now about this painting titled "Japanese Footbridge" in which I've had the pleasure to view upclose and in person. How to paint a Monet Water Lilies painting. One of the first things noticed when seeing the painting is the repeated curves made by the bridge. 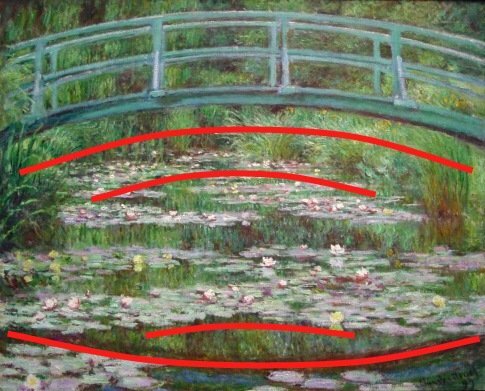 These elements are repeated several times both in the reflection of the bridge in the lower part of the work but within the ponds edge and arrangement of water lillies within the center area of the work. Lets look at a few close-ups too. I've zoomed these images up so you can actually see the shadow cast under the dollop of paint for each water lily blossom. 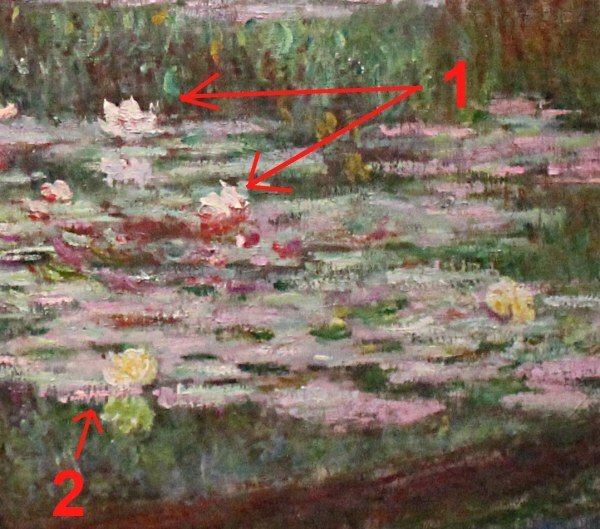 In item (1) you see the open water lily painted in and (2) a water ripple. These are masterfully touches of pink laid in rather thickly with no further blending or rework. The pink water ripple reflection is called a "scumble" in which the underlying paint is dried, and the top stroke of pink paint is decisive and allowed to drag, thus breaking the paint up so it is not a solid stroke of color. Speaking of broken, broken color is what many impressionists used in the creation of their art. I talk about this theory of color in more detail here Monet Impressionism and How to paint like Monet. In item (1) is a single stroke of highlight (light blue) coming down the ballister of the bridge. The item (2) shows a single dollop or paint (appears to be a yellow cadmium medium color) to indicate the daylilly in the background. In item (3) are simple scumpled in strokes of a light green (almost white) to indicate foliage of the water plants at the edge of the pond. So you can begin to think in these terms of light touches of paint to the canvas without going back in to blend. And maybe entice you to attempt one of Monet water lilies type paintings! 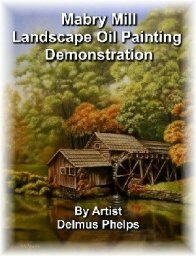 I get into more of the mechanics and process of Monet Water Lillies paintings here in Monet Impressionism, and how to paint like Monet! I hope you've enjoyed my little page on Monet Water Lillies paintings, and have given you some insight into trying one for yourself! 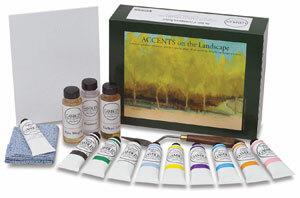 If you do decide on trying one of these, you'll need these types of paints and brushes to paint impressionistic. Leave Monet water lilies and head back to Impressionist Painters. Link to the National Gallery in Washington DC "Impressionists"